Vogue eyeglasses are inspired by the youthful optimism and creative sense of fashion that's behind the popular and prestigious Vogue fashion magazine. The Vogue optical collection is rich with the bold colors, flirty designs, and innovative silhouettes that add unique touches to any fashionista's wardrobe. Vogue infuses superior quality into the hottest trends in order to produce a line of eyeglasses that reflect the glamour and intensity that the name Vogue inspires. Due to manufacturer's restrictions, Vogue products cannot be shipped to Australia. 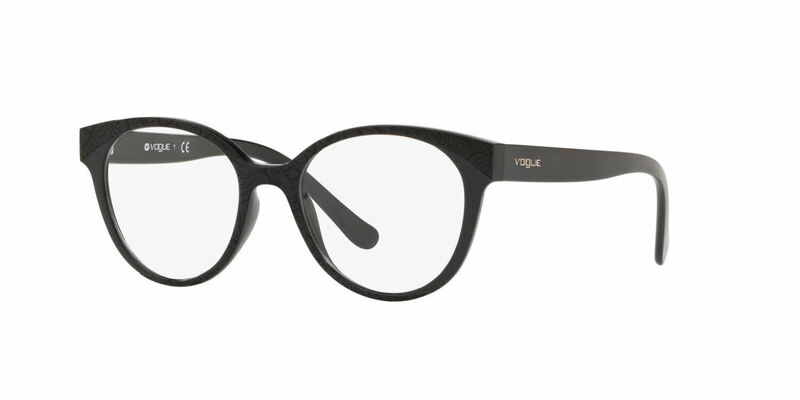 Vogue VO5244 is a Full Rim frame for Women, which is made of Propionate. Vogue VO5244 Eyeglasses come with a cleaning cloth and protective carrying case.